The Sardar Patel Subharti Institute of Law, Meerut is one of the reputed law colleges in Uttar Pradesh. It was established in 2002. It offers Bachelors and Masters Courses in various disciplines. The Sardar Patel Subharti Institute of Law is accredited by the Bar Council of India. 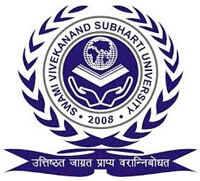 It is affiliated with the Swami Vivekananda Subharti University, Meerut. The Sardar Patel Subharti Institute of Law, Meerut aims at providing quality education to students. The college facilitates practical learning in students. The college library is quite rich with extensive numbers of journals from India and abroad. To aid students in law-practice, there are collections of case studies. Adding to the comfort and privacy of students are separate hostels for boys and girls. Besides, students also get access to the modern laboratories, sports, research facilities, and clubs. Students should have completed 10+2 to become eligible for admission in the Sardar Patel Subharti Institute of Law, Meerut. Students should have completed Graduation/ Equivalent to become eligible for admission in the Sardar Patel Subharti Institute of Law, Meerut. A student should have completed Masters in Law with a minimum aggregate score of 55% marks.